What can volunteers from three states, some of whom have never even met each other, accomplish in just two weeks? They can enrich the lives of more than 9,000 Ugandan children. And, that’s just what 19 Libraries of Love volunteers did the first two weeks of June 2007 – completing five new projects and working with libraries created in 2005 and 2006. Traveling from Texas, Kansas and Illinois, the group met in London. They spent the day getting acquainted and seeing the sights. Then, it was on to Uganda to get down to some hard but rewarding work. 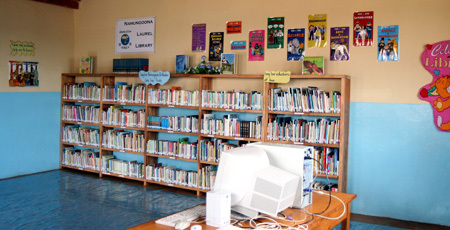 Despite the very long flight, irritating airline delays and lost luggage, the group “hit the ground running” the first day in Kampala and began the task of creating libraries in three primary schools, and providing books to a secondary school and an orphanage. “Monday, as soon as we arrived we went to Bat Valley School – 1,500 students. The kids were all outside waiting for us doing African dances, singing, playing bongo drums, shouting, jumping, waving, totally excited. After a greeting, we immediately went to work,” she wrote in a travel blog that chronicled the entire African experience. The school had gone to our website and found the names of donors. “They then labeled each of their classroom doors with a donor’s name, whether it was an individual, company, civic organization, or church. It is quite a sight,” she wrote in the blog. 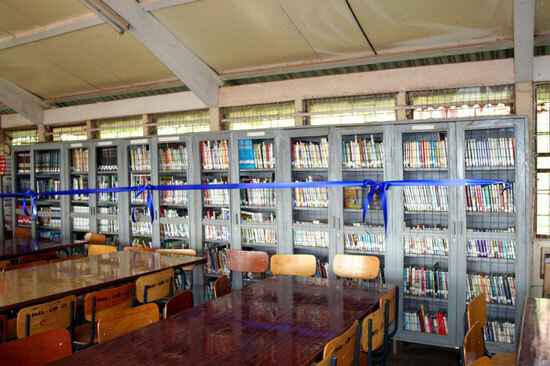 But after fiction and nonfiction books were added to the textbooks in the Mengo library and Trudy worked with teachers and administrators, the headmaster told the library staff that a room would be coverted into a separate library for the books we provided. At Namungoona Primary School the student body of 450 lined up outside when the Libraries of Love team arrived. The team arrived at St. Mary Kevin’s Orphan School late in the evening. 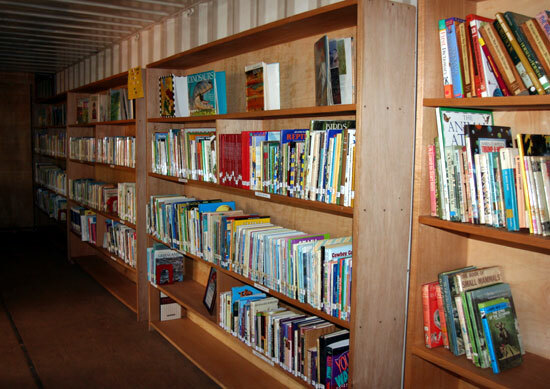 The library is in a boxcar with no electricity. The final team visit was to Besania Orphanage, which is operated by retired Anglican Archbishop Livingstone Nkoyoyo in Mukono.